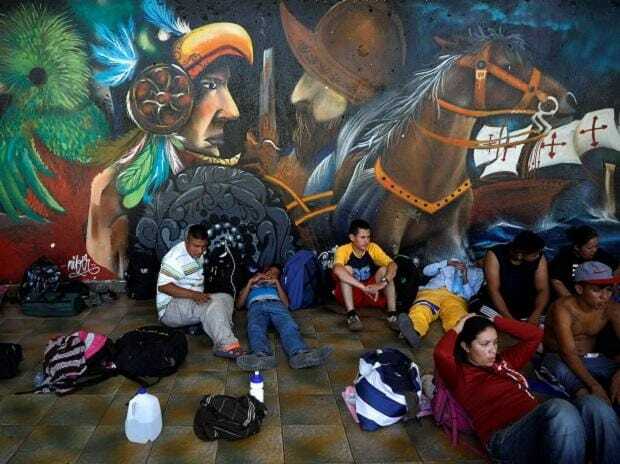 Their advance could trigger a new Twitter firestorm from US President Donald Trump, who has urged Mexico to halt such caravans, and who tweeted early Friday: "Another big Caravan heading our way. Very hard to stop without a Wall!" Hundreds more of the 2,000 migrants in the caravan gathered patiently on the border bridge, trickling into Mexico as the authorities processed them. Many of the migrants are travelling in families, often with small children. The October caravan largely dispersed after reaching Tijuana. US Border Patrol agents fought back two attempts by the migrants to rush the border, firing tear gas to disperse them.